When is the right time to give a blood transfusion? 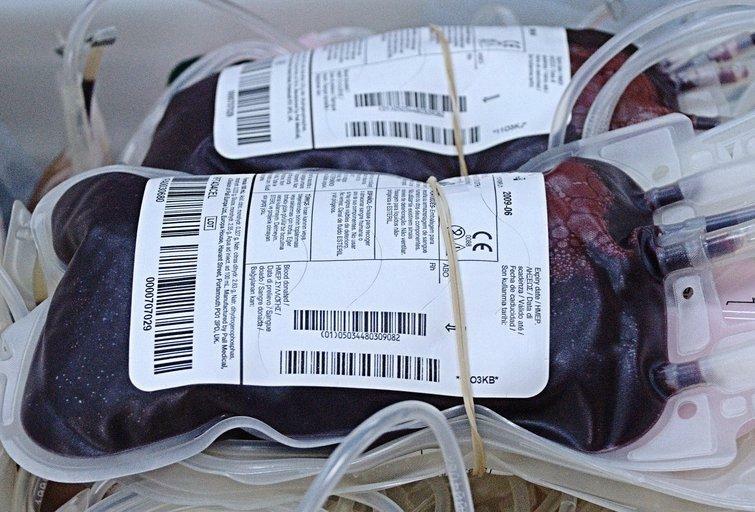 Home » When is the right time to give a blood transfusion? When is a blood transfusion considered? How low should the cell count be? When the blood lacks enough healthy red blood cells or haemoglobin, anemia symptoms develop, typically fatigue, shortness of breath, weight loss, paler than normal skin, etc and a blood transfusion is considered. There is no set haemoglobin level at which a blood transfusion is given, but your doctor will assess your symptoms and you will decide together. I often delve back deep into the case notes to try to find a ‘normal’ haemoglobin level for that individual from many years before their diagnosis. I think that it helps to say to a patient for example ‘you are 30% down on your normal haemoglobin so it’s not surprising that you are feeling the effects’. This also helps us both to understand that the patient may have meaningful symptoms of anaemia despite their haemoglobin level being higher than that recommended for active treatment in the guidelines that we follow. How often can a patient have a blood transfusion? How often you have transfusions will vary between patients; some need transfusions every few months whilst others need one every every couple of weeks. Very often, once a patient has started having regular blood transfusions, the length of time between transfusions will gradually get shorter. The simple answer is that there is no limit. If blood transfusions are becoming considerably more frequent then the doctor needs to consider if there could be an explanation in addition to the MDS such as bleeding (usually internal) or the red blood cells being destroyed more quickly (haemolysis). These may be able to be treated and the transfusions will then reduce. However by far the most common situation is that the red blood cell production from the bone marrow gets poorer and poorer with time in some patients. We will transfuse as often as is needed to maintain acceptable quality of life and we often transfuse patients every 2 weeks and sometimes weekly. There is a move towards thinking about more frequent transfusions with fewer bags each time as this mimics the normal situation better without the big peaks and troughs of energy gain then energy deterioration. With every unit of blood you receive from a transfusion, you will receive an excess amount of iron. Over time this can accumulate in your body and could possibly cause damage to certain organs, like your heart or liver. individual case. This will be discussed with you before you make a decision to start iron chelation. Some patients will develop complications that could be related to iron overload such as heart failure, liver abnormalities and diabetes, but these complications have other causes in older age, and it is always difficult to be certain how much iron overload is responsible, and we have drugs that can effectively remove iron from the body. Read Prof David Bowen full article in MDS EUROPE: "Which patients need more blood transfusions to improve quality of life and can we identify the patients who need iron chelation more precisely?"